Alonzo Grant Taylor was born in Winston County on June 6th 1869. Of course this was just after the great American tragedy, the Civil War. Winston County was an area of hilly terrain and very little flatfarming land; most of the residents were small farmers of very modest means. Hardly any had slaves and the people of this part of the state were generally not sympathetic to the “flat landers,” where cotton was king. The War was truly a struggle of brother against brother for which each side felt justified. So how did the healing process take place and how long did it take? 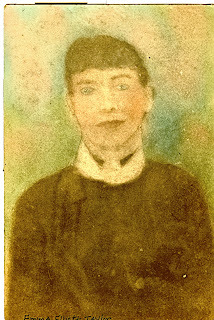 Alonzo Grant was the oldest son of William “Carroll” Taylor the only child of Mary Shipman; she died in about 1876 and is buried at Curtis Cemetery. It is easy to see embedded in his name “Grant” where this family placed their loyalties. Alonzo’s grandfather, John Henry Taylor was a Republican state legislator from Winston County from 1868-1872 and was well known for his support of the Union during that time. Alonzo was only 7 years old when his mother died and Carroll soon married Sarah Evans with whom he had 10 more children. Sarah certainly had her hands full with her own children; but in later years she told Alonzo she was sorry for not giving him more attention when he was a child; Alonzo told her that was OK. In some ways that conversation speaks to the character of both of them, redemption and forgiveness. Alonzo grew up a Christian and remained so his entire life; always an active member of Liberty Grove Missionary Baptist Church. In 1898, he gave an acre of land for the Liberty Grove Church site (south portion), and Mr. Cauthen gave additional land (north portion). As for the nature of Alonzo, he was a quiet man, never known to curse, drink, smoke or speak ill of his neighbor. He and his family, like most in the area lived a plain and simple life, looking not to accumulate material things but to insure his salvation and when asked by his sons, why not get another mule; he would say this is all we need now. . He raised the things needed to feed his family and his wife often made garments from wool sheared from his own sheep. Early days of his farming included plowing with oxen. 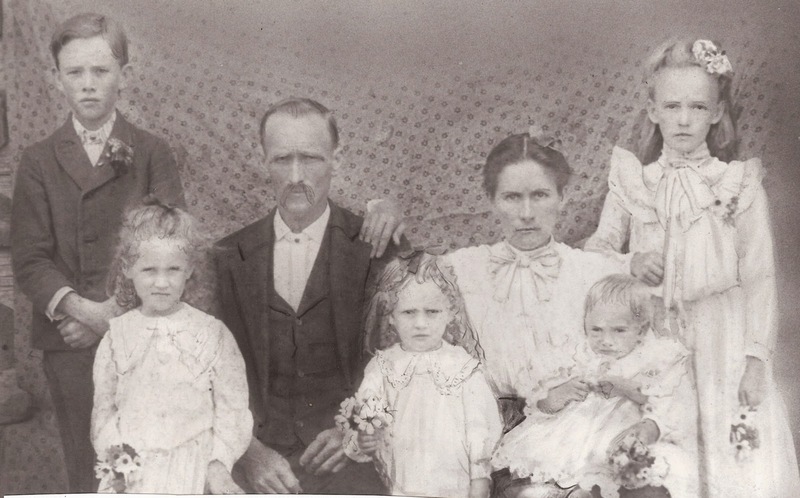 On August 27, 1891, Alonzo married Emmer L. Elliott and their family included, William Wansey born Sept 30, 1892. William (Willie) moved with other members of the Taylor family (including his grandfather Carroll) to Lawrence Cty, TN. There Willie married Bertha Comer, and had a large family. Alonzo stayed put…this land is OK….. Henry L. born May 28, 1894 and died Jan 31, 1895. “Little Henry” as he was always referred thereafter, he is buried in the Old Carroll Taylor Cemetery which is 1 ¼ mile southwest of Liberty Grove. 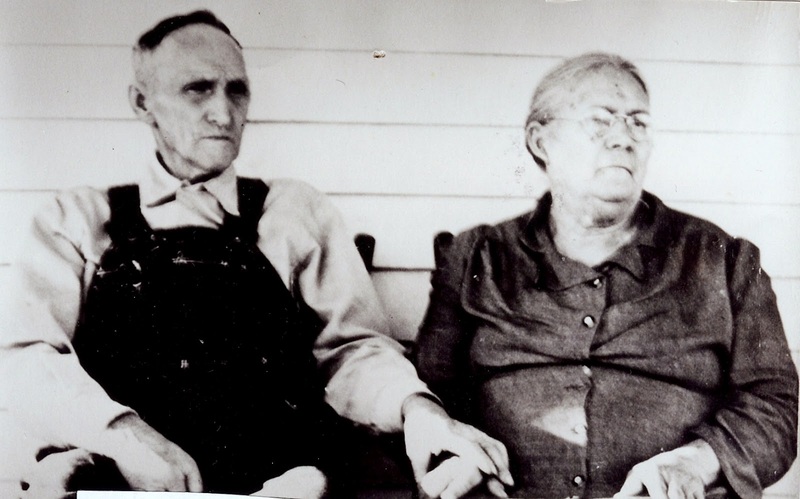 Mary Sephronia Taylor was born Dec 12, 1895 and married Harvey Berry, they had a large family in Winston County, however he deserted his family when they were small children and was found by his adult children in Cleveland, MS. years later with a new family. Alonzo and others helped support Mary and her children for years as they were left without a father. On March 20, 1898 Emma passed away and was buried at Liberty Grove. ﻿﻿﻿On December 22, 1898 Margaret Derusha Stephens (Stevens), daughter of John Benjamin Stevens, joined this family as Alonzo’s spouse. Margaret’s father, John, was a confederate Soldier, in contrast to Alonzo’s Union father: so here we see the mending of a torn nation forgetting, forgiving, and moving forward. Peaceful, quiet, pious, and forgiving Alonzo died March 6, 1949. Sarah Lucinda, 2-4-1900 to 10-15-1990, she cared for her parents for many years, and at age 39 married Jasper M. King then (2nd) Verdie Davis, no children. Lucinda was a lifelong resident of Winston who was loved by many. She touched many lives with her kindness and sweet spirit. Aussie Elizabeth 1-22-1902 to 1-1-1998, who married James W. Knight, lived in the Haleyville area (Forkville) and had 7 children, Eugene, Auziline, Carl, Johnnie, Wynema, Patricia, and Joe. Following in their father and mothers footsteps, this large successful family was often business leaders throughout Alabama and the southeast. Wallace Roosevelt, 5-4-1904 to 11-19-1987, married Hazel Jordan who died in an accidental fire tragedy at their home; they had 2 daughters, Gloria “Ann” and Norma “ Jean”. Wallace then married Martha Louise Glasgow, who later became an Alabama teacher of the year; they had 1 daughter Sarah Margaret (Sally). Wallace lived in Haleyville AL and worked for the IC Railroad. Elmer Benjamin, 10-22-1906 to 6-24-1999, married Audrey Pulliam; they had 3 children, Elmer “Ben”jamin Jr., Franice “Legetta”, and “Billy” Owen. They left the farms of Winston County, moved to Birmingham in the early 1950’s and lived there and St. Clair County until his death. He worked for Hayes Aircraft many years. Newman Oliver, 9-22-1909 to 1-25-2000, married Lucy Charity Godsey on 11-15-1936. They followed Elmer’s family to Birmingham in the 1952 and Newman also worked at Hayes as a forklift operator. Lucy worked for Dowdy Candy Company and Contenential Can Corp. They were active members Meadowbrook Baptist Church. Their 3 children, “Anita” Ann, Newman “Wayne”, and “Harold” James all had careers with Alabama Power Company. Hubert Atticus, 11-22-1913 to 3-15-1974, married Marguerite Angela Enright of Springfield OH, a registered nurse, they lived in Birmingham, Al and he was a WWII veteran, and worked in management with Firestone Stores. Their three children, John “Grant”, Monica Ann, Mary Lucinda “Cindy” graduated from John Carroll High School and all finished college. Thurlo McKinley, 11-17-1917 to 2-3-2001, married Melba Jean Parker, 2nd Mary Lucille Danchower, 3rd Vera Winnie Walker. Thurlo had a successful tour during WWII and was a Captain in the USAF. He worked as a salesman for Progressive Farmer for years. Arguably the most gifted of all Alonzo’s children, he was plagued with alcoholism for much of his adult life. He had no children and died in Carrollton Ga.